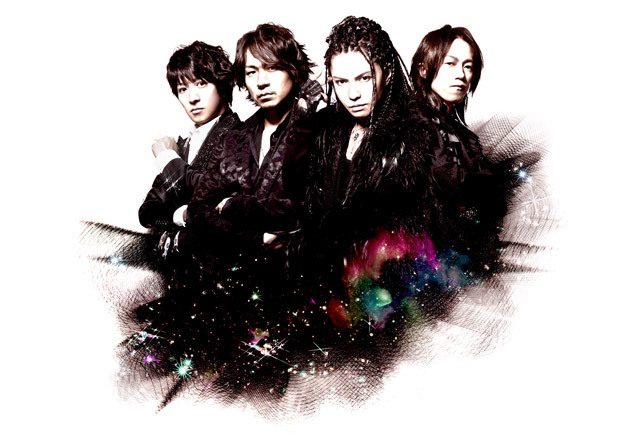 L’Arc-en-Ciel was formed by tetstua in Osaka in 1991. Two years later in 1993, their album “DUNE” reached number 1 in the Indie charts. The band signed to Sony Music in 1994 and since then, has released 33 singles and 11 albums. The 1996 “True” album became their first million-seller. They simultaneously released two albums, “ark” and “ray” in 1999, which sold 6 million copies (simultaneously released in 7 different countries in Asia) and their 1999 GRAND CROSS TOUR (total 12 shows) gathered an audience of 650,000. The final show of this tour was broadcasted live across Asia. Their first ever performance abroad was in Baltimore, the United States in 2004 with an audience of 12,000, and in 2005, the band performed in Seoul, Korea and Shanghai, China enjoying a rapturous reception from an audiendce of 10,000 in each country. The November 2006 “L’Arc-en-Ciel 15th L’Anniversary Live” concert catured their 9th concert in the famous Tokyo Dome (the show was broadcasted in 25 countries world wide). 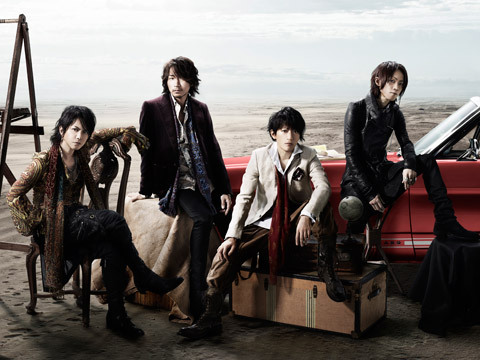 Their latest album “KISS”, originally released in November 2007, will see its official European release this April. Already available in many Asian countries and on iTunes US as well as in Japan, it will be available both in physical and digital formats across Eorope this coming April. With the tour “Tour 2008 L’7 – Trans ASIA via PARIS-” confirmed for this Spring, playing to 320,000 people across 10 shows in 7 Cities (including their first appearance in Paris), this monster band continues to build up a ateady fanbase throughout Asia and around ythe world.